Make an impression at your next event with custom trade show printing. 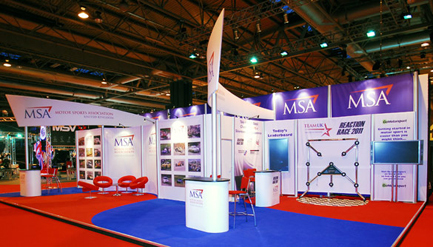 With attentive service and expert advice, we are your single source provider for trade show printing. Point of purchase materials – Show dailies, folders, flyers, table tent cards, brochures, catalogues, comment cards, to name just a few. Large format printing – We offer numerous solutions to trade show signage such as posters and banners in virtually any size, shape or quantity, and on a variety of materials. Mounting – Depending on your requirement, we can mount your poster or large format print on foam core, which is lighter weight, or gator board, which is more durable. Finishing – Laminate your products to give them greater durability and a longer shelf life or add grommets so that you can hang your signage if needed. Fulfillment – We can also provide inserting, bagging, binding or any other fulfillment & mailing services if required. Still Creek Press is an approved Forest Stewardship Council (FSC) Certified printer and recognized as a strong supporter of sustainability and protecting our environment. Our production facility is located just minutes away from Downtown Vancouver, making us the perfect choice for all your trade show and convention printing needs. Want more information on trade show printing? Upload files for trade show printing. A member of our sales team will be in contact with you regarding your files. Request a quote for trade show printing. A member of our sales team will be in contact with you regarding your request. Contact us for more information on trade show printing.